Cather and Wren are twins (Cather Wren—Catherine—get it?? ), starting their first year at University of Nebraska-Lincoln. And although they have always been thick as thieves, as twins should be, bold and brash Wren wants to break out and become her own person. She doesn’t want to room with Cath, wants to party all the time, and begins teasing Cath about the fan fiction they have been writing together for years. The Simon Snow novels are the Harry Potter books of their world. Stories of an orphaned boy with powerful, if poorly controlled, magic. He is roomed with his nemesis, a vampire named Baz, short for Tyrannus Basilton Pitch. Throughout the novels, the two spar and occasionally collaborate for the greater good. Cather and Wren, but mostly Cath, have been writing short stories about Baz and Simon, about what happens between scenes. 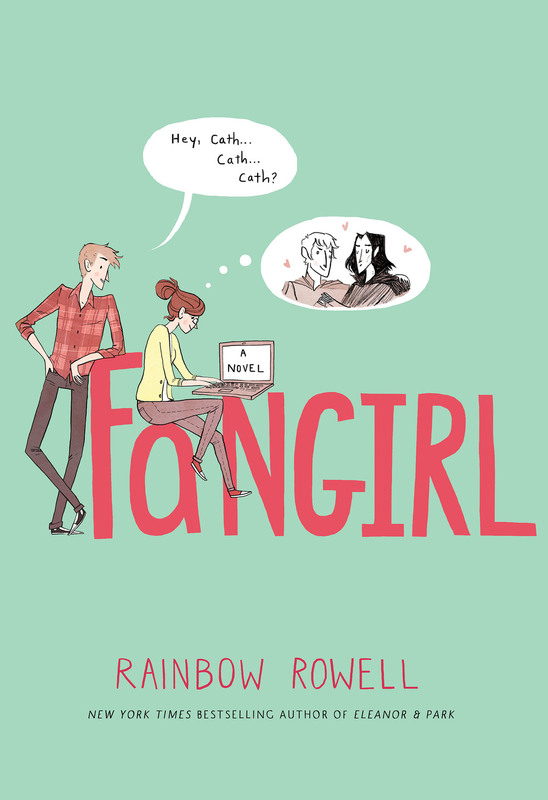 Her fic is hugely popular, garnering tens of thousands of followers, as she attempts to finish Carry On, Simon Snow, her version of the final book in the series, before the real final book comes out. Between bouts of storytelling, Cath learns how to be her own self, thanks in large part to her brusque and straightforward roommate Reagan, who exasperatedly tells her she has to be her friend because she’s so damn pathetic. And thanks also to Reagan’s friend Levi, whose unflappable good cheer chips slowly away at Cath’s stony, stubborn exterior. This is a book about magic, about friendship, love, and siblings. And it’s about growing up and learning how to have parents as an adult. The best part is that if you are intrigued by the chapters of Carry On, Simon Snow that you get a peek at, Rainbow Rowell released the entire novel, Carry On last year. Good reading for people who like witty and smart writing with just a little (not too much) drama.